Well known for her intense energy and love for people, Jody Trail, Allied Member ASID, has been a respected professional in the design industry for twenty-two years. As President of Jody Trail Designs, she has worked on many unique design projects. 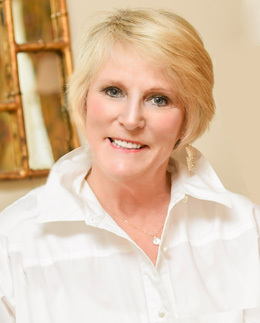 Whether working in Boston, Cape Cod, Chicago, Durango (Colorado), Hilton Head, Martha's Vineyard, Savannah, Scottsdale or in her home town of Sudbury, Jody focuses on the personalities and lifestyles of her clients while designing their living spaces. Jody Trail and Jody Trail Designs are known for their award winning Interior Design across the Boston-area and beyond, including Metro-West, Cape Cod and North Shore. Having owned a furniture importing business that offered custom faux finishes, along with her design business, Jody is well-versed with the ins and outs of interior design business from all angles of the trade. Passionately dedicated to her clients' happiness and satisfaction with her work, Jody works very closely to ensure that her customers are pleased with every detail. Jody knows what makes a house a home. The personal touches and clients' choices create an environment that clients may enjoy for many years. Jody has personally owned and managed her well-organized interior design business for many years. A distinguishing feature of Jody Trail Designs is the firm's dedication to various services (e.g. conceptual designs, project management, installations, etc). Such attention to detail is a trademark of this firm that services clients throughout the United States. Jody has participated in the Junior League of Boston's Designer Show Houses and has been featured in the magazine Cape Cod Homes and other Boston area press. She is also published in the book Country Interiors, Room by Room, written by Carol Meredith. In addition to her design business, Jody donates her time to fund-raising for Multiple Sclerosis and Cancer research. A dedicated professional and talented designer, Jody Trail is an enthusiastic member of the design community who is ready to spear head the design needs of any client.